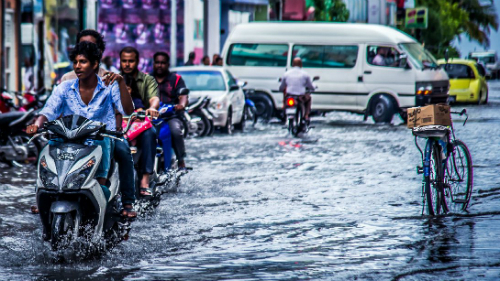 The uprooted trees and flooded streets of Malé in recent days seem to have laid bare the continuing tensions between local and central government in the Maldives. After the central authorities last week removed the city council’s jurisdiction over the roads of the capital, senior figures from both the government and opposition have made the legal case for and against the decision. 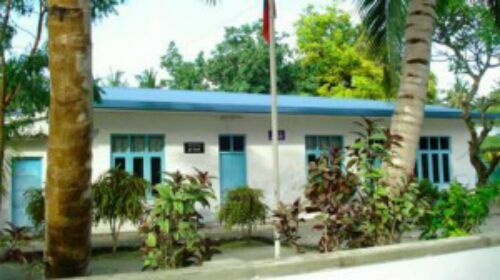 Friction between the Maldivian Democratic Party (MDP) dominated Malé City Council and successive governments has left the local authority with just 5 of the 22 public areas granted to it after its establishment in 2010. Attempts to replace the trees – allegedly cut down by off-duty police officers – were thwarted by the state-owned Malé Road Development Corporation last Wednesday, who police allowed to continue despite councillors’ calls to uphold the Decentralisation Act. While the former Speaker Abdulla Shahid has suggested the cabinet has violated the law in taking over maintenance of the capital’s roads, Attorney General Mohamed Anil suggested that the move was compliant with both the Decentralisation Act and the Land Act. The President’s Office have said the council had failed to deal with the recent floods, although the council continues to point out that it has received less than half the funds allocated to it from the 2014 budget. “We don’t even have an account in which to put money,” explained Deputy Mayor Shifa Mohamed. After his ministry gave orders to tear down the areca palms planted along Malé’s main thoroughfare last week, the housing minister added to the confusion today by suggesting the council would be irresponsible to challenge efforts to make the capital greener. Others suggest that the real roots of the issue lie with a government unwilling to cede power to local authorities, resulting in what some have described as decentralisation in name only. Defending the government’s action, President’s Office Spokesman Ibrahim Muaz has said that the decision regarding street maintenance was consistent with its policy of utilising state land for social purposes. Authority over the city’s mosques will soon revert to the Ministry of Islamic Affairs, leaving the council with control over only Malé’s burial grounds – completing the steady removal of land since the fall of the MDP government in 2012. While the current administration has previously called on local authorities to cooperate in order to bring development to the people of the country, the provisions of the flagship Special Economic Zones Act appears to make such acquiescence redundant. “There will be consultations with the local councils, but the decision making power will be here because we want to take decisions very fast and we want development as soon as possible,” tourism minister and Chairman of the SEZ investment board Ahmed Adeeb has previously explained. In the same interview, Adeeb made clear that his government does not feel decentralised authorities are currently suited to aid the country’s development. “Land, labour, and capital – the central government and the regional governments are fighting for it as we don’t have enough resources even for the existing government to cover the budget deficits,” he explained. The MDP’s claims that its political opponents are attempting to sabotage the decentralisation project in favour of maintaining a Malé-centric ‘begging system’ began before the ink had dried on the 2010 Decentralisation Act. Following its failure to win a majority in the 2008 parliamentary elections, the MDP government had to accept a version of its decentralisation bill without the structural and fiscal provisions it had originally planned for. 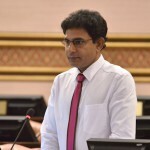 The rejection of over 300 proposed amendments by the opposition-controlled house – including attempts to restore the provincial model on which the scheme was based – prompted MDP MPs to walk out of the Majlis prior to the bill’s passage in April 2010. Subsequent amendments increasing the number of councillors were described by the party as “economic sabotage”, leaving the country with a system the UNDP has described as a “major barrier to fiscal consolidation”. Since assuming power, the same political groups have moved to reduce the recurrent costs of a system that had grown to an estimated US$64 million per three year term. Meanwhile, the 2014 UNDP Human Development Report pointed out that harmonising laws – a problem typified by the legal wrangling in/over the streets of Malé – remains a key challenge facing the decentralisation transition. [T]he Decentralization Act identified land management as a core responsibility of the councils. However, this contradicts the Land Act, which provides that the Ministry of Housing and Infrastructure manage land distribution. Similarly, the Decentralization Act and the Constitution make provision for fiscal decentralization, revenue generation and management of own revenues by councils. This contradicts the Finance Act, which mandates all revenues collected from any Government body be deposited in the Government’s central public account. Among the objectives envisioned in the Decentralisation Act are the empowerment of people and the creation of an environment conducive for peace and prosperity. However, a report into the process by UNICEF in 2013 suggested that the political wranglings at the center of Maldivian government have left the islands worse off than before decentralisation was introduced. “Local Councils are now less empowered than they were in 2008 which was when they officially had even less functions and revenue raising powers,” concluded the UNICEF report. Decentralisation advocate Salma Fikry argues that the central government has little interest in genuine devolution of powers, preferring ‘deconcentration’ which allows for dispersed administrative powers without real financial autonomy. “I do agree that Island Development Committees were doing better work, but the underlying truth was that the government could choose who to support and who not to support,” said Salma. She suggested that the desire for decentralised government stemmed from the realisation in the atolls of disparities in regional service provision – another issue highlighted recently by the UNDP. The central government will not allow for revenue raising measures at the local level as this would reduce political leverage, she explained. The UNICEF report further noted that political partisanship and overstaffed local authorities had resulted in “political bickering” between council members, “stalemates”, and “no decision making”. Malé Deputy Mayor Shifa also suggested that the problems with the current government stemmed from political rather than practical reasoning. UNICEF concluded that the decentralisation process in the Maldives had been “rushed”, noting that such far-reaching changes can take decades to implement successfully. During the time it took to compile the 2013 report a new level of provincial government was introduced and subsequently abolished within two years, with UNICEF noting the subsequent “confusion at all levels of government”. Observing recent events in the capital, it appears that the Maldives decentralisation experiment will continue to struggle to take root and may well be washed away in the next political downpour. It doesn't take an expert to answer that question. Every maldivian citizens knows that nothing good will happen easily in this country. Its not decentralise,The is narcissism with homicide that will roots will with the current regime. MDP council must remove corruption, than they can get fund. Why decentralize to MDP thief who welcome zionist to Maldives? Decentralization can take roots in the Maldives! But will it be allowed, may never be answerable! Yes!! According historians people have been living in Maldives for 3000 years & according to the progress another 3000 years it will take for decentralization process to take root. And you Ravin Loony no room for you either. Maldivians will teach you Sidhartha.